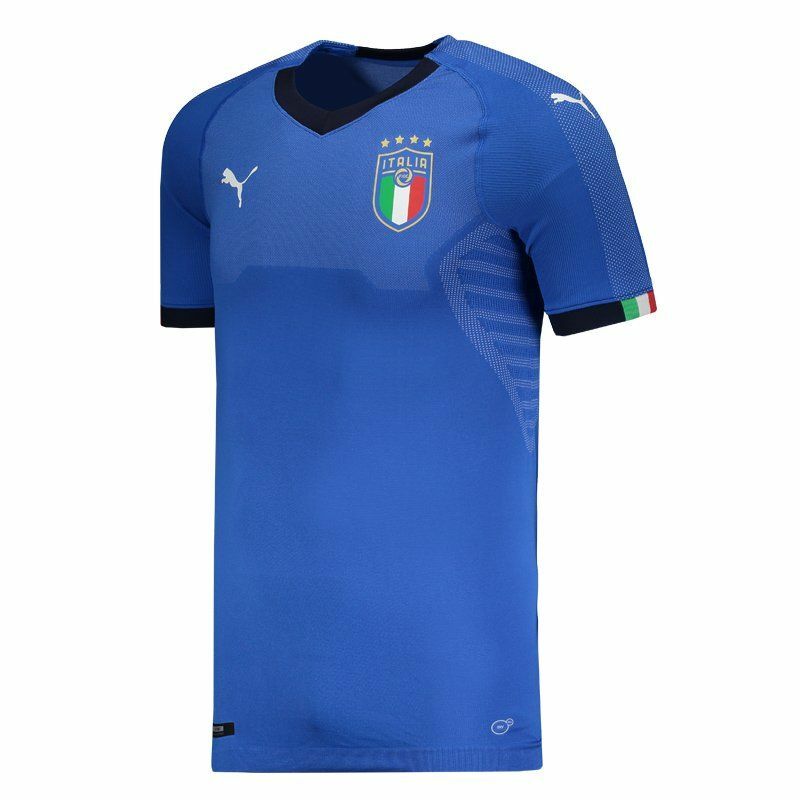 Manufactured by Puma, the authentic Iatly shirt for 2016 can be customized with name and number and is made of polyester, nylon and spandex, featuring Dry Cell technology. More info. 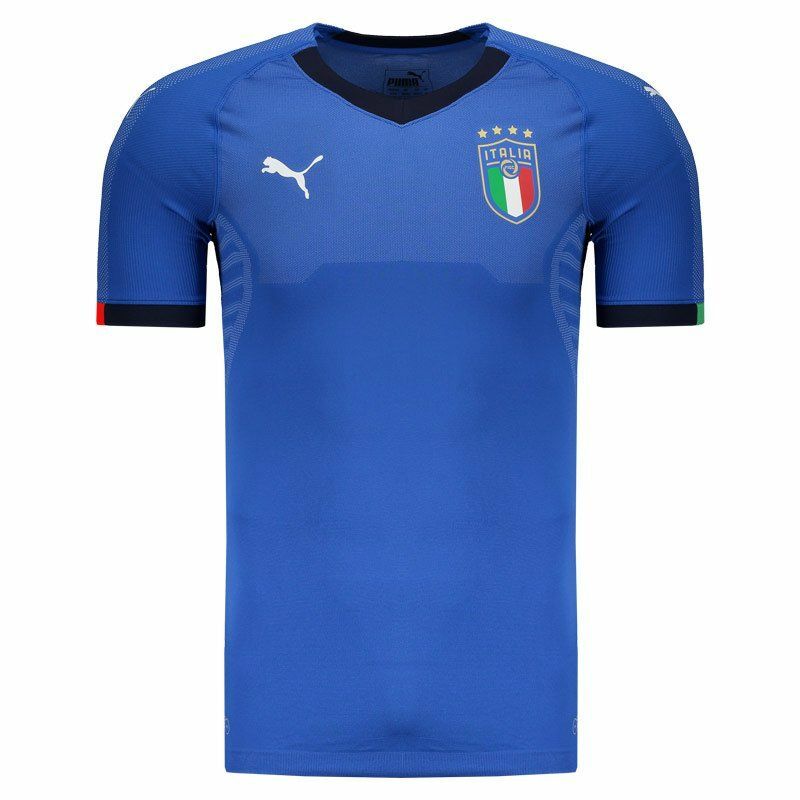 Manufactured by Puma, the authentic Iatly shirt for 2016 can be customized with name and number and is made of polyester, nylon and spandex, featuring Dry Cell technology, which contains functional materials that keeps the sweat away from the skin and keeps you dry and comfortable. The design has the royal blue color as predominant and has several micro reticles in white throughout the composition and that form stripes on the shoulders, sides and sleeves. 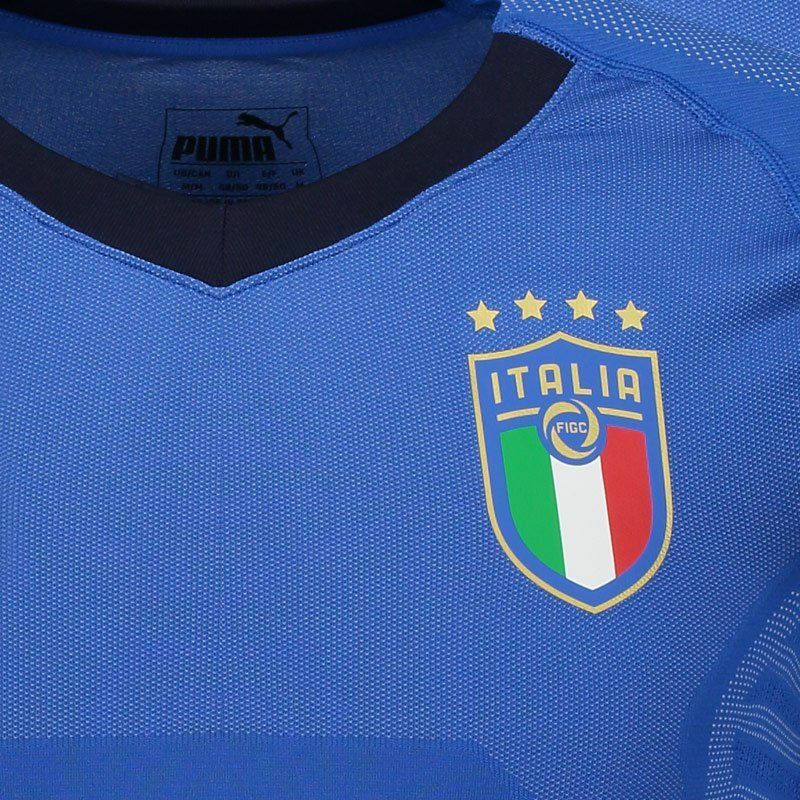 In the chest, the team's badge is present, as well as the four stars representing the four world champions of the Italian team. The cuff of the sleeves comes with ribbed finish for better fit to the body and brings the colors of the country, which are also seen near the nape of the neck. The bar, in turn, also has corrugated finish. Finally, the collar is V and the logo of the supplier supplier brand, complements the details. Get it now! 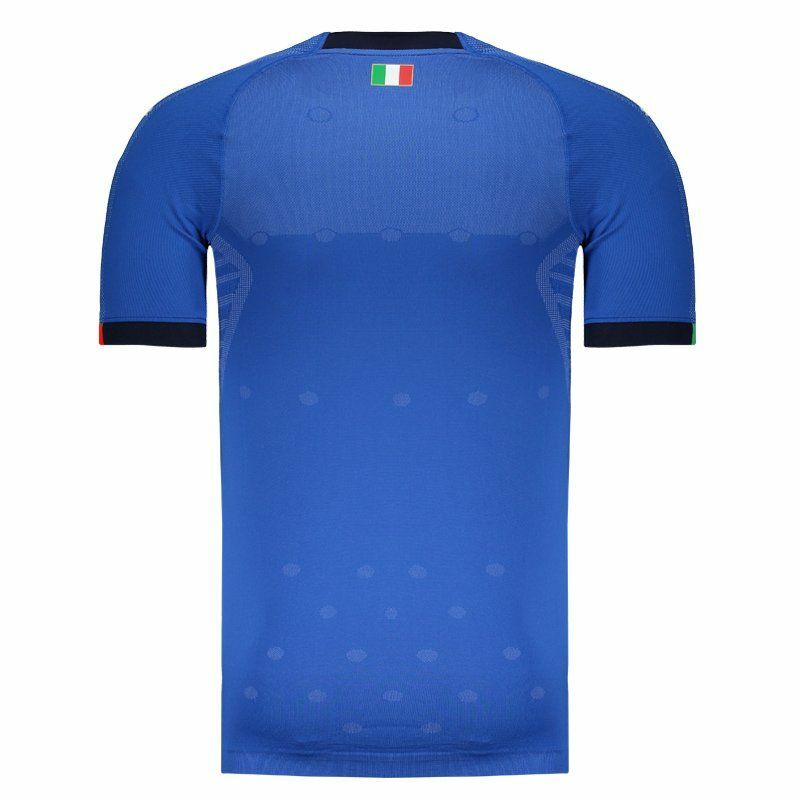 Italy is one of the most successful national teams in the history of the World Cup, having won four titles (1934, 1938, 1982, 2006) and appearing in two finals (1970, 1994), reaching a third place (1990) and a fourth place (1978). In 1938 they became the first team to defend their previous World Cup tournament victory and due to the outbreak of World War II retained the title for a record 16 years. They have also won a European Championship (1968), as well as appearing in two other finals (2000, 2012), one Olympic football tournament (1936) and two Central European International Cups. Italy's highest finish at the FIFA Confederations Cup was in 2013, when the squad achieved a third-place finish.